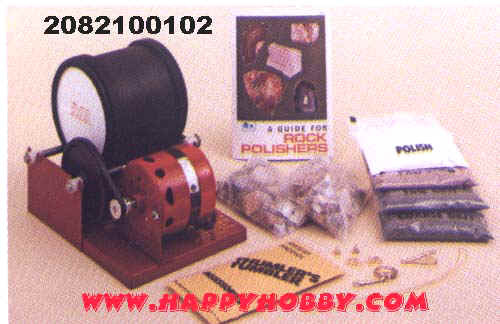 2082100100 MODEL T ROCK TUMBLER 3lb.capacity tumbler. One rubber barrel.115v continuous duty motor - impedance protected. For the beginner. Does a quality job of polishing stones. Lighter motor than other models. Besides tumbler kit contains polishing rock 4 grades of polishing abrasives jewelry findings and booklet A Guide for Rock Polishers.